If this bench had been in its current place some 20 years ago, it would have been looking out over a kidney-shaped pool. And the boxwood knot garden would have been under aquamarine water. But lacking a lot of garden space, Mary Wayne Dixon, a leading supporter of the Atlanta Botanical Garden since its inception, made a drastic decision. With her daughter grown, and no one to use the pool, she had it filled in. In its place, she created a boxwood parterre, designed by her late friend, English writer, gardener, designer and lecturer, Rosemary Verey. Back when Mrs. Verey was on the lecture circuit, she stayed with Mary Wayne during her visits to Atlanta. It was the Englishwoman's influence that inspired the giant leap from pool to picturesque garden. The nice thing was that the space was already lower than the house and the rest of the grounds - an ideal situation allowing one to look down upon the design. I took this photograph on this very date four years ago. Interestingly, we had an early-ish spring that year. Just before you step down into this garden, there is a Viburnum macrocephalum in a shrub border. In 2012, the flowers had already turned from green to white. While spring came rushing down on us this year, the Chinese snowball is still in its green stage, or at least it is at my house. I don't know if my friend ever sits on that bench, but I love its placement against the espaliered fruit trees. The variegated boxwoods make it seem cozy. And, what is very important to me, although I hardly ever find time to sit outside, is that you would feel comfortable putting your feet down on the gravel where you can see what's happening around you. I'm making this latter statement because years ago on a garden tour, another erudite English gardener pointed to a lovely bench set among some tall grass and flowers. "That is an ill-placed garden seat, " he said. "I would feel uneasy sitting there. I like to know there's no creature lurking about unseen. You should always make sure you feel perfectly safe when you're sitting in the garden." It has all come too fast. We had a bout of hot weather a couple of weeks ago, and all of a sudden, spring started popping. I was unprepared. Actually, that's an enormous understatement. I walk outside now, and I feel helpless. So much to do, and everyday that passes, I become more panicked. There's a reason for my frustration. Last week, I had to have surgery on my lip for a skin cancer. It had been scheduled for tomorrow, but there was a cancellation, and I took the appointment. Now, because I have more stitches than anticipated, I can't bend from the waist or lower my head. I can't do any strenuous activities, which I take would include moving four camellias from their too-sunny spot to a site a little further back in the woods. I am not supposed to lift more than ten pounds, which I had not realized. Too late, as I already took 20 pounds of hot bird seed out of the trunk of my car yesterday. The worst is that I didn't get any deer protection put out up at the little house. That's where a big clump of 'Sum and Substance' was about to pop out of the ground. I put out some Milorganite at my house, but I didn't make it up there. I can imagine the deer have already struck. They had shredded the hosta by the end of the season last year. I have some tablets to put in around it (I had planned to dig it and bring it up here and plant it in a container), but I need to water them in. At present, I can't crawl up inside the basement to turn on the outside spigot; buckets of water are too heavy to take from here. I am, however, able to drive around (with a bandage looking like a giant white mustache), and there's so much beauty already. The Yoshino cherries are at their peak; spireas are putting out snowy white blooms; dogwoods and azaleas are suddenly acting like it's April. Our native Carolina jasmine is covered with cheery yellow flowers. Banksaie roses are also showing some lemony-yellow blooms. Other yellows are out, too - Kerria japonica and bright yellow forsythia. Everywhere I drove yesterday and today, I saw loropetalums literally smothered in hot pink. It's a real explosion of beauty. But, there are plenty of leftovers from late winter. Many camellia bushes are still blooming their hearts out. And the hybrid hellebores, or Lenten roses, although now almost all green, still stand out in the garden. Most of the daffodils are over, but I saw plenty of clumps of late bloomers. On Saturday, I received an e-mail from someone at my church. 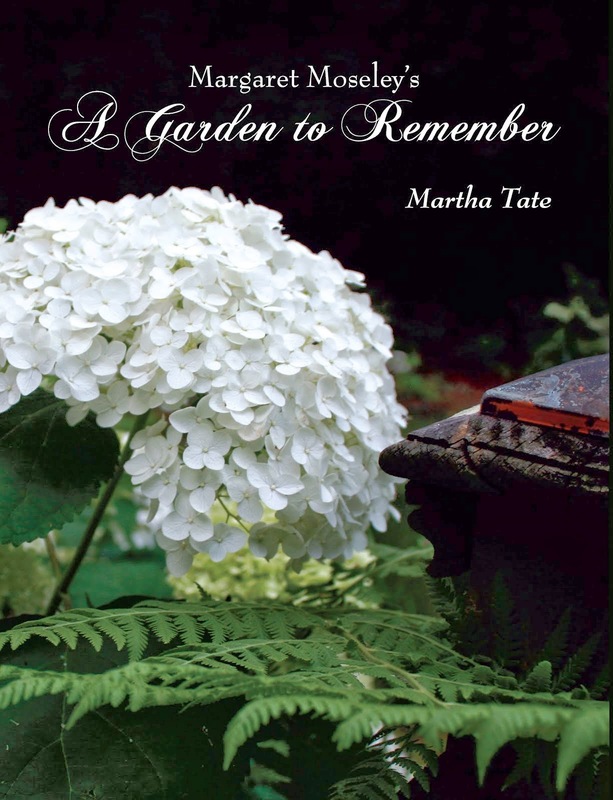 She sent along two photographs of a fluffy pink flowering shrub, asking if I could identify it for her neighbor. It was about forty years ago that I had seen this shrub for the first time. I was driving along a road in what was then rural Cobb County. I almost had a wreck. Out of the corner of my eye, I glimpsed these spikes of light pink tufted flowers coming out of the ground. I had no clue what they were. A few years after that sighting, I learned that this old-fashioned passalong plant was dwarf flowering almond (Prunus glandulosa). An elderly gardener in Athens, Georgia, gave me one of hers, and I've loved seeing the buds burst open into fluffy pink balls each spring. The plant you see above is from the late Margaret Moseley's garden. Margaret also had the white version, as well. I love the latter, but I still remember that moment so long ago when I saw those pink puffy flowers sticking up in the yard of a weathered clapboard house. The flowering almond doesn't last very long, but it's worth the space in the garden. Back to the spring which is barreling down upon us. There are so many chores to do, it makes my head spin. Weeds are coming up in the pea gravel. I have some organic fertilizer for roses, but I can't do anything about that for another week. I need to move those camellias, and I really ought to rescue some hydrangeas that are vulnerable to the marauders. I'll just have to wait and in the meantime sit back and enjoy the show. It's not the first spring I've gotten behind on everything, and it probably won't be the last. "If there could be no roses..."
For the first 18 years of my life, my family lived in the small town of Palmetto, Georgia. At the time, I thought I was deprived, because we didn't have so much as a Tastee-Freeze or any other spot where we could hang out (what would I have given for a drive-in hamburger joint with waitresses on roller skates!). I later came to appreciate what I did have - five acres to explore and a setting (complete with a scary ancient lady next door whose house I could spy on through a tall privet hedge) that fueled a child's imagination. But, Mama's rose garden really wasn't very pretty. It consisted of hybrid tea and grandiflora bushes, arranged in rows. She grew her roses, not for garden beauty, but for cutting. There were a lot of these sorts of rose gardens in the 1950's, when hybrid teas were so popular. In the 1980's, people started planting more garden roses, that is, plants that looked pretty on fences or arches. These roses had always been around, but had gone out of fashion. I longed to have them at my house in Atlanta, but I didn't have enough sun. Then, one Sunday afternoon four years ago, I came home from church to find a 40-foot-long limb from a giant white oak tree lying in my driveway. This enormous tree had hung over my house since it was built and cast a huge amount of shade. I had to have it taken down, and in its place I made what I call my arch garden. I would now have sun! I quickly ordered own-root climbing roses from Pat Henry at Roses Unlimited in Laurens, South Carolina. I would be able to sit here at my computer and look out at big, cabbagy roses climbing my wall and growing over the arches. But, it was not to be. The sunlight I counted on did not materialize. Ironically, I had been the author of articles advising people to watch a spot for a year to know the sun-shade conditions so they would know what to plant. I didn't practice what I preached. So, I have moved all but two of the roses into containers to await a home. The remaining ones are languishing, but I'll rescue them soon. On the opposite side of the arches, I planted Confederate jasmine - not at all what I'd pictured, but at least it's fragrant. But I did finally realize that there is sun now that the tree is gone. It's just not where I wished it to be. In fact, I had planted camellias there, and they are scorching and will have to be moved. There are three big trees in the very place I need to plant roses. One is a 100-foot-tall poplar that to my mind is leaning toward the house. I had the City of Atlanta come out last week to see if I could take it down. They refused to issue a permit. The solution is going to have to be that the climbing and pillar roses ('Cl. Iceberg', and I've forgotten the names of the others) will use the trunks of the trees in the sun as their "tuteurs." The sunny garden I'd imagined will have to be re-designed. Right now, nothing is coming to me. It remains to be seen how I will fare. I keep checking the view from the front window all day long. There is direct sun, at least for now. I also noticed last summer, when the camellias started to look sketchy, that I had sun for most of the day. If there can be any roses for me, this is where they'll have to go. I will have to put fishing wire around them and hope it will fool the deer until I can get something permanent. It's going to take a lot of study to figure out how this awkward space can look like a garden. Unlike my mother, I want garden roses rather than a rose garden. Last week, I ordered a song from ITunes. It's called "My Heart Reminds Me," sung by Kay Starr. It was the favorite of my friend's mother. There's a line that says, "If there could be no roses." I've thought of those words so many times in my quest for lush roses like in the photograph above (from Ryan Gainey's garden in Decatur). Maybe this new scheme will work, and there can be roses for me. We shall see.